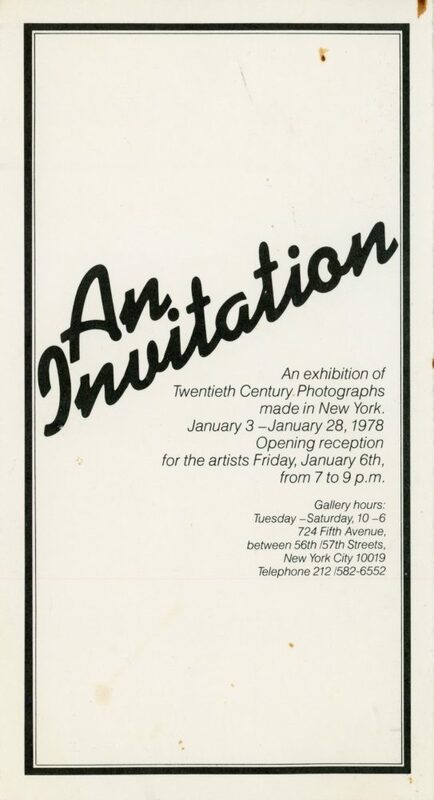 Folded card for New York, New York, a group show at Light Gallery, 1978. 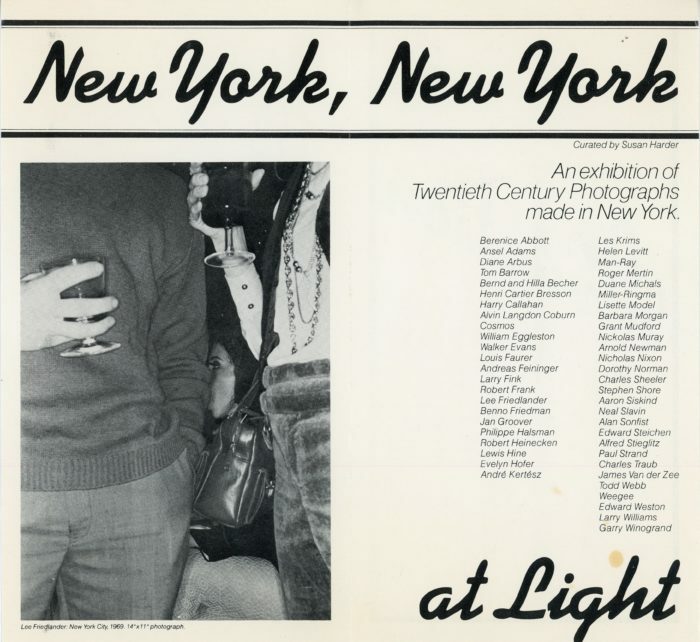 Participating artists included Diane Arbus, William Eggleston, Lee Friedlander, Man-Ray, Marc H. Miller & Bettie Ringma, and Garry Winogrand. Inside of card features Friedlander’s New York City, 1969. 4.5″ x 8.5″. 9″ x 8.5″ when open.